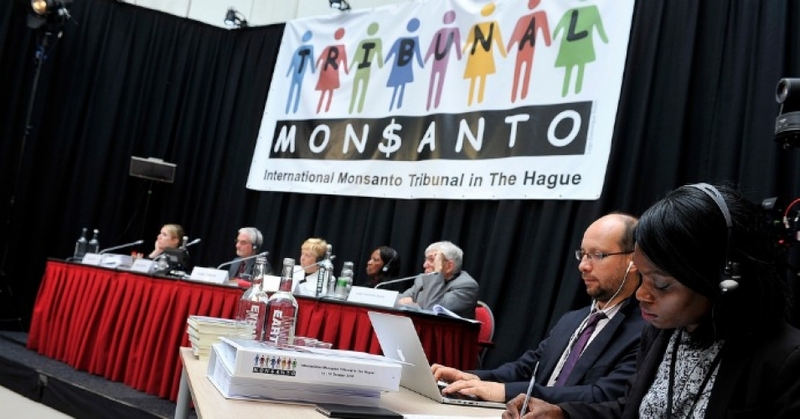 On Tuesday, the Monsanto Tribunal of international judges presented in The Hague their legal opinion after 6 months of analysing the testimonies of more than 30 witnesses, lawyers and experts. Their conclusions are that Monsanto’s practices undermine basic human rights and the right to a healthy environment, the right to food, the right to health, it calls for better protective regulations for victims of multinational corporations and concludes that International law should clearly assert the protection of the environment and ‘ecocide’ as a crime. This groundbreaking advisory opinion reinforces what movements, farmers, citizens all over the world have been contending for decades.The industrial model of agriculture, based on monocultures, extensive use of chemicals and genetically modified seeds, together with the economic model of free trade neoliberal policies and deregulation of commerce, is damaging our health and destroying our ecosystems, our soils, water and biodiversity and is a major contributor to climate change. It is poisoning the Earth and millions of people, pushing small farmers off the land, allowing corporations to establish monopolies and take control of our seed and food – while producing only a small fraction of the planet’s food.